“A single mother earned $8000 from Google Adsense in one month. Find out how!” says an internet advertisement, targeting unsuspecting prospects. New Zealand is hit by many internet scams, with the latest being ‘work from home‘ or ‘part-time’ job scams, which typically target students or at-home mothers. “If it sounds too good to be true, it probably is,” says an internet security expert. Because the jobs are advertised on typical job portals where genuine employers post job ads, job-seekers often trust these scammers. Don’t fall prey to these scams, because fraudsters are either trying to steal your money or your identity. or upfront payment fraud – a scam which asks you to send money upfront for a product or ‘reward’ later. Look for employment through well-known recruitment websites or reputable recruitment agencies, advises Consumer Affairs. Also it helps to be suspicious for anything that sounds too good. Be suspicious of online ads promoting the opportunity to work at home – most of them are scams. Contact your bank if you have received money into your bank account that you believe to be illegal. If you have any problems, contact the Banking Ombudsman for guidance. Another mistake people make is they keep quiet if they have been a victim of a scam. Who in their right mind wants to be seen as stupid, or greedy or both? However, this only strengthens the odds for scamsters to succeed. If you have been affected by a scam, please report it to Consumer Affairs’ Scamwatch. Your personal details will be treated in the strictest confidence. Consumer Affairs have even created a Facebook page where New Zealanders like you and me are reporting new scams almost every day. Head over to the Facebook page for some entertainment, if nothing else. You will be surprised at the ingenious ways used by some scamsters. Other than employment scams, Kiwis are fallen prey for credit card scams, ATM skimming, dating scams, computer hacking, identity scams and phone scams. With people putting pictures of themselves and their family on social media, identity theft is one of the easiest thefts that could happen to anyone onliine. One Kiwi lady found a picture of her horse on a horse-trading website. A picture of her horse was stolen and published with a “For Sale” advertisement in an overseas market. She managed to get the website to take the picture down, only to find another advert spurring up somewhere else, almost instantaneously, the lady said in a post on the ScamsNZ FB page. Another person reported Air New Zealand scam, where scamsters (obviously not from Air New Zealand) call up and offer heavy discounts on Air New Zealand airfares. Air New Zealand has been contacted by people who had received automated phone calls claiming to be from Air New Zealand offering “significant credits” to be redeemed on Air New Zealand bookings, the airline’s spokesperson Brigitte Ransom, told Stuff. Air New Zealand has confirmed that it is not offering any special discounts on international travel via automated phone calls. In fact, holiday scams and air ticket scams are common in New Zealand. In 2013 alone, as many 63 Kiwis lost $38,000 to travel scams, says Ministry of Business, Innovation and Enterprise spokeswoman Peta Baily Gibson. Many New Zealanders have fallen trap to a Facebook predator, only to find the imposter to be much older, or with criminal intentions. Online predators often target younger girls, or even boys, who are vulnerable and trusting. “Go online for the right reasons, ignore those who write in capital letters and weed out those who can’t even spell their own job title,” advises Andrew Bonallack in the New Zealand Herald. How many of you have dreamt of taking a windfall from Inland Revenue in the form of tax refunds? I know. I have too. But that’s where the good story ends. Many people have reportedly received a door knock from someone claiming to be from the tax department and offering a tax refund. Has anyone ever heard of tax guys going door to door offering refund checks? “Just to be clear, Inland Revenue will never telephone, email or knock on your door regarding your tax refund,” Inland Revenue’s group manager customer services, Eleanor Young, told media. The scamsters are so bold that they have even used official logos of major brands and government departments, including Inland Revenue. Consumer Affairs department offers ready guide to use in case you suspect a scam or have been a victim. 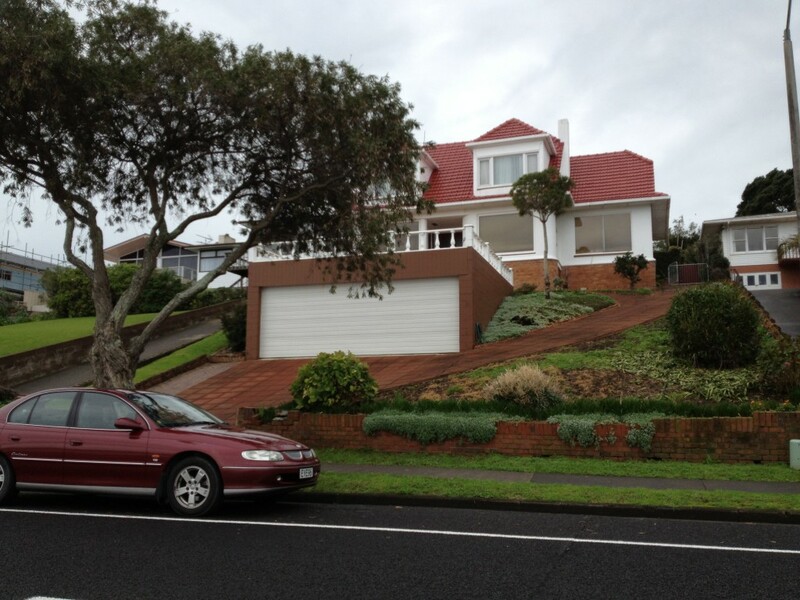 The Reserve Bank of New Zealand’s indication that the loan restrictions (LVR) imposed last year will be eased toward s the end of 201 has come as a relief for many first-home buyers as well as home sellers. Chief Executive Ofﬁcer of Harcourts New Zealand, one of the leading real estate agents. The restrictions will go at the right time as New Zealand expects net migration to grow in the next 12 to 18 months. “The divergence in the annual budgets with spending slashed in Australia and tax rates rising, versus scope for tax cuts here in New Zealand down the track will reinforce the massive switch in Trans-Tasman migration flows underway,” says Tony Alexander, chief economist of Bank of New Zealand. That’s a tall order, and the removal of LVR remains a speculation at this stage, and Tony Alexander believes that it is unlikely that the LVR restrictions will be relaxed by the end of the year. “The rules are doing the job of about 0.25% – 0.5% worth of official cash rate rises. Were the rules to be removed then the OCR would need to be that amount higher than would otherwise be the case. The Reserve Bank had introduced the loan-to-value ratio (LVR) restrictions in October 2013 to help lower house prices, and avoid the risk of a housing bubble building up. New Zealand banks were given a six-month window to comply with the new speed limits restricting new high-LVR lending at no more than 10 per cent of their total lending. A high-LVR loan is where the loan is more than 80 per cent of the value of the property. However, banks over-estimated their LVR lending and applied stronger breaks resulting in high-LVR loans falling to 6%, much below the apex bank’s 10% target. The high-LVR loans were as high as 25% in September 2013, just before the restrictions were applied. A consumer advocate is warning that fraudsters maybe “mining” people’s personal data today and use it months or years later for fraud. Parents need to know their kids may be risking their identity and future credit rating by posting volumes of personal information to open forums and other sites, a consumer advocate warns on Safer Internet Day. “The harsh reality is if you’re a young person you are not immune to identity fraud. Even though you are not yet credit active the personal information you make public today could be used against you in the future,” chief executive of MyCRA Credit Repair, Graham Doessel says. The comments come as Australian government’s ‘Cybersmart‘ hosts Safer Internet Day today, with more than 22,000 students participating in Cybersmart’s online safety presentations. Graham says identity theft is still a risk for under 18s, and many young people and their parents don’t know the dangers of having a public ‘profile’ on sites like Facebook and Twitter. In late 2011, identity expert Ben McQuillan of the Australian Federal Police warned people about the new trend of ‘warehousing’ which involves storing data for a time, making it harder for a victim or bank to trace where and when the data was stolen. “If people know your full name, your date of birth, where you went to school and other lifestyle issues, and they were to warehouse that data, there is a prospect that could then be used to take out loans or credit cards or to create a bank account that could then be used to launder money,” McQuillan told the Sydney Morning Herald. This warning was echoed by Queensland Fraud Squad’s Superintendant Brian Hay, who warned that criminals were targeting the personal information of young Facebook users. Brian said criminals had been known to be storing the personal information of children around the world in databases to be used when they turn 18 and are able to take out credit. “We know that the crooks have been data warehousing identity information, we know that they’ve been building search engines to profile and build identities,” he told Channel 7’s Sunrise program in October 2011. “We need to tell our children if you surrender your soul, if you surrender your identity to the internet it could come back to bite you in a very savage way years down the track,” he said. Graham says identity theft is not only about the initial loss of monies, but if the fraud amounts to credit accounts in the young victim’s name going undetected and unpaid past 60 days, creditors will issue defaults. “It need not be major fraud to have a detrimental effect. Credit file defaults for as little as $100 can stop someone from being able to obtain credit for 5 years. So any damage, however small to someone’s credit file can be extremely significant,” he says. He says the onus is on the victim to prove to creditors they didn’t initiate the credit. “The fact that the perpetrator is long gone and the actual act of identity theft happened years earlier will only add to the difficulty for the young person in recovering their good name,” he says. Experts recommend parents and young people continue to update their skills on how to be cyber-smart. 1. Keep privacy settings private. Your profile on sites like Facebook should be kept Private, and it’s a good idea to check your settings from time to time to make sure it stays that way. This makes it harder for crooks to find your personal information. 2. Use passwords. Use strong passwords online, regularly changing them. You should also do the same for your smartphone. Stay one step ahead of hackers. 3. What you post may be permanent. Every piece of information you post – no matter how secure you think it may be – may show up again one day. 4. Your personal information should be guarded at all times. Personal information is the gateway to identity theft. How secure is the site you are using? Think – if it’s not necessary – do you really need to give it out or post it? 5. Careful who you ‘friend’. Crooks can scan the internet requesting ‘friendships’ on sites like Facebook – but they may not be after friendship but your personal information. If you don’t know the person who is sending you the friend request, check their profile – do they seem like a real person? Ask -why do they want to be my friend? If you’re unsure, ignore the request. The cybersmart website has a range of multimedia educational resources. Indians moving to Canada can now experience NRI banking services with another trusted Indian banking brand. For new immigrants, or international students, the latest alliance of Kotak Mahindra Bank with Canada’s Scotiabank opens the doors for financial services at a time when you need those the most – just after arrival in a new country. The services will suit not just people emigrating from India to Canada but also to Non-Resident Indo-Canadians seeking accounts in India. Scotiabank employs 81,000 people in more than 55 countries including India. Scotiabank has been operating in India for three decades which gives it “a unique perspective on what international clients are looking for in financial planning,” says Troy Wright, Scotiabank’s Executive Vice President of Retail Distribution, Canadian Banking. Now, select Kotak Mahindra Bank branches will offer Canada-bound Indian residents with access to the Scotiabank StartRight Program for Newcomers. The program lets people open an international account and credit card even before leaving India. In Canada, select Scotiabank branches will help non-resident Indian customers seeking bank accounts in India by referring them to Kotak Mahindra Bank’s MyIndia Program – their non-resident Indian (NRI) and people of Indian Origin (POI) banking solution. The $2.4 billion Kotak Mahindra Group received a banking license from the Reserve Bank of India in February 2003 and the bank has over 375 branches, and 863 ABMs, in 219 locations across India. “We have a strong focus on NRI Banking and our alliance with Scotiabank further strengthens our customer offering,” says Virat Diwanji, Executive Vice President & Head, Branch Banking, Business Assets & NR, Kotak Mahindra Bank. In addition to its new partnership with Kotak Mahindra Bank, Scotiabank offers the Scotiabank StartRight international account opening program in select Scotiabank branches in India and Mexico and through China Everbright Bank in China. “We understand that moving around the world is an enormous undertaking, and we strive to offer some stability during this transition by helping people with the financial part of their move,” says Winnie Leong, Scotiabank’s Vice President of Multicultural Banking. The Scotiabank StartRight Program is available at any Scotiabank branch in Canada or by calling 1-866-800-5159 (from North America) or 000 800 100 7460 (from India). To better assist customers both in India and Canada, the Scotiabank StartRight website (www.scotiabank.com/startright) is available in a variety of languages, including Punjabi. Credit cards with bad credit rating often cause financial distress, and they often search for credit cards for people with bad credit rating. They are attracted to advertisements that promise ‘no credit check credit cards’. People with bad credit rating are sometimes disadvantaged because they are continuously declined for regular home loans, personal loans, car loans, credit cards and even phone contracts. However, even if you are somehow approved it is likely that you will be paying extra in interest rate payments and other charges. A bad credit rating can cost you a great deal. Lenders will deny you financing, or worse, charge you high interest rates on loans. 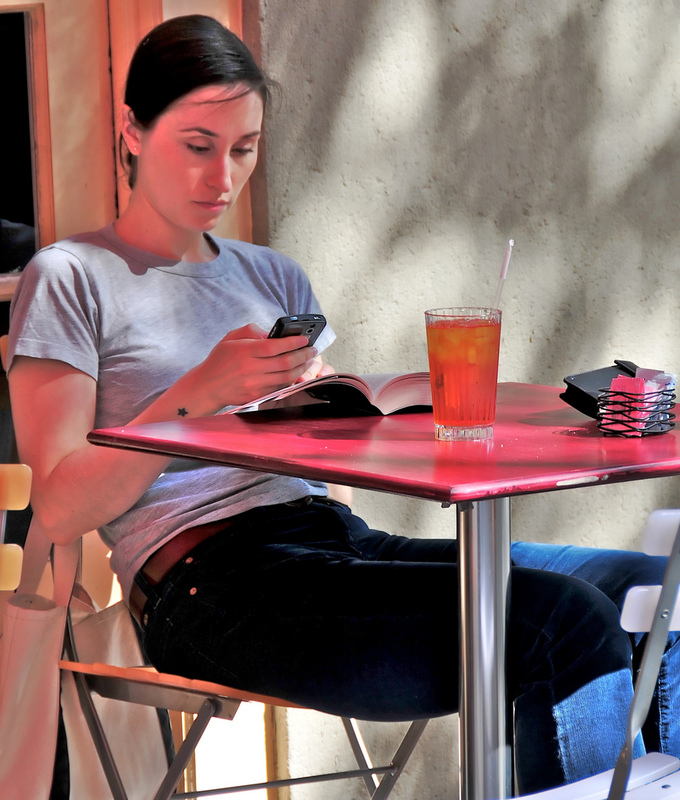 You may have to pay deposits in order to secure a mobile phone or have utilities turned on. Sometimes, clients face unfavourable rates and terms on new loan agreements. Fortunately, you can take steps to repair your bad credit rating and get your credit file back on track. With bad credit your financial options are not completely gone but they may well be greatly reduced. To the average lender, a consumer with bad credit is a credit risk. It may seem daunting, and not a task you want to face, but you can fix your bad credit rating. Here are some tips to help you get out of trouble. • Evaluate the entire file to determine what is damaging your credit report. Identify problem accounts for further examination. • Some lenders may be willing to erase the black marks on your credit report in exchange for repayment in full. Always ask the lender to do this before paying off the debt. • Highlight any inaccurate, incorrect, or erroneous information. You must immediately contact the credit provider (lender) to inform them of the discrepancy. • Work with lenders when times are tough. If you are unable to make your monthly payments, talk to the lender. Your bad credit will never get better if you have serious infringements and default payments still outstanding. Take steps to pay the debt off, or visit a debt counselor or we can arrange a meeting for you with a deft counselor negotiate your debt. If you take steps to clear the debt and fix your record you are on the road to fixing your credit. Bad credit limits your borrowing options greatly. In the Australian marketplace there are thousands of lending products that you are open to using if you have good credit. If you have a better credit rating you will receive better conditions of lending and interest rates. If you have bad credit you eliminate 90% of products immediately as most lenders do not want to lend to someone who is a credit risk. There are lenders who specialise in lending to people with poor credit. Research these lenders thoroughly or call ESMA Credit Repair Specialist as the terms of lending may put you in a worse position as interest rates are often higher and terms of repayment may be at the limit of your serviceability. Before you take any steps get a copy of your credit report. Look at it carefully to see if there are any listings which may not be yours. Your credit report may contain incorrect information. For example a credit reporting agency may not realize there is a person with an identical name living in your apartment block and their credit information has been placed on your credit report. Incidents like this are the reason approximately 1 in 4 credit reports have errors of some description. If the error is as basic as a misspelt name it may have implications on the rest of your report as there may be black marks which have been incorrectly assigned to you. You have the right to challenge these errors as they may be affecting your credit rating even though the problem is not yours. This is the quickest way to fix your credit report and help your credit rating. Being in this industry I have seen credit cards major contributors in establishing bad credit. Missed payments reflect badly on your credit report. Most Australians who pay off their debt end up accumulating the same debt again within a year. Some credit cards, especially store cards, carry very high interest rates. This can get you into real trouble if you are not disciplined. Take a very disciplined approach towards these cards if you want to repair your credit. As some infringements take two or more years to be removed from your credit report you do not want to increase your chances of creating another infringement and starting the whole process again. If you are in debt or have a bad credit rating and want to know more about the solutions available to you contact us on (Australia) 1300793757 02 86778721 or 0414959671 or visit us at Parramatta or West Pennant Hills office. Sukhwinder Rajput is a director of ESMA Home Loans. This article is for reading purpose only. ESMA Home Loans, author or The Global Indian magazine does not take any guarantee of any kind for any process. Readers are advised to seek own expert financial advice. 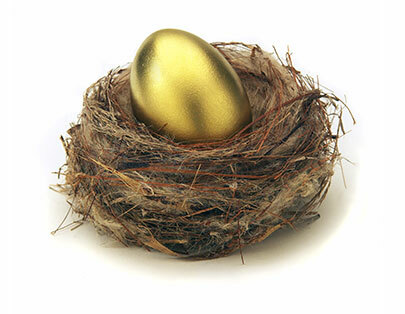 It’s nearly Easter and what better time for taking steps to sort out your retirement nest egg. No matter your age, it’s never too soon (or too late) to hatch a money plan that will help you to enjoy the lifestyle you want in retirement. Life expectancy has risen as our quality of life improves and on average, a 65-year-old man can expect to live until they are 85 and a woman until they are 89. The majority of New Zealanders end up relying on the government pension (NZ Super) and their savings for income during retirement. There’s no ‘rule’ about how much you need to save for retirement because everyone is different, but putting aside some of the money you earn now will make your retirement nest egg that much more cosy. When would you like to stop working? What sort of lifestyle would you like in retirement? How does that compare to your current lifestyle? Will you live in your own home or rent? If you retire at 65 you will need to have a plan that provides the income you want for at least 20 years. Any retirement plan should include the goal to be debt-free by retirement. Pay off ‘dumb debt’ (high-interest debt such as unpaid credit cards, and hire purchase that’s no longer interest-free) as soon as possible and avoid acquiring any more. Focus on becoming mortgage-free as soon as possible and definitely by the time you intend to stop working. Debt can be very hard to pay off once you have retired. Consider joining a retirement savings scheme such as KiwiSaver. With KiwiSaver, your money grows because your employer has to contribute (a minimum of 2%) and the government contributes 50 cents for every dollar you pay up to $1,042. There’s also the $1,000 kick-start which the government pays when you join. At 64, it’s still worth joining KiwiSaver because of the extra contributions you receive. Review your retirement plan whenever your circumstances change so that you can continue to reach your savings goal. Planning ahead now will provide stability and peace of mind during retirement. Make a retirement plan and start building a nest egg so your retirement can be one you look forward to. David Kneebone is a Sorted spokesperson. Sorted is New Zealand’s free independent online money guide, run by the Commission for Financial Literacy and Retirement Income. India’s federal bank says people of Indian origin (PIOs) and non resident Indians (NRIs) are not required to report property deals in India to the bank. This is likely to encourage further investment by NRIs in India. NRIs and PIOs don’t need to inform the Reserve Bank of India about purchasing immovable property in India. “Regulations do not prescribe any reporting requirements for transactions where a person resident outside India who is a citizen of India or a PIO… acquire/s immovable property in India,” the central bank says. This announcement clarifies the confusion about reporting between NRIs and foreigners. As per RBI regulations, foreigners are required to make a declaration under the IPI form within 90 days of acquiring a property. “Form IPI has been, accordingly, amended for greater clarity,” says the Reserve Bank. However, there are still restrictions on the purchase of agriculture land by overseas Indians. NRIs can buy residential as well as commercial properties in India, and there’s no limit on the number of residential or commercial properties they can buy. Overseas Indians are not allowed to purchase agricultural land, plantation land or a farm house in India. Also worth noting that global Indians cannot even be gifted agriculture land. The only permissible way to acquire agriculture land for NRIs is to inherit agriculture land. Can NRIs and PIOs acquire any immovable property in India by inheritance? Yes, foreign citizens of Indian origin can acquire immovable property (IP) in India by the way of inheritance. However, citizens of Pakistan, Bangladesh, Sri Lanka, Afghanistan, China, Iran, Nepal and Bhutan (whether resident in India or not) are prohibited from acquiring or transferring any IP in India without prior approval of the RBI. Can a person of Indian origin, resident outside India gift properties acquired earlier in terms of the provisions of FEMA? Yes. A person of Indian origin resident outside India may transfer residential or commercial property in India by way of gift to a person resident in India or to a person resident outside India who is a citizen of India or to a person of Indian origin resident outside India. Australia Day is the time when thousands of new Australians are welcomed into the country’s dynamic multi-cultural society, but a national credit repairer says the road to financial success in Australia can be a harsh one for new migrants. Busy with starting a new life in the new country, many migrants fail to understand how their credit history can have a severe impact on their resettlement. MyCRA’s CEO, Graham Doessel says he deals first-hand with many new migrants who have struggled to come to terms with a credit system which is far different to the one they are used to, and ultimately their Australian credit rating can suffer. He says new Australians don’t get enough help to make the most of their finances, and to ensure they are never blacklisted once they become credit-active. “I am seeing more new Australians caught out with the system here, being banned from new credit – can’t get a home or car loan and often from fairly small amounts in arrears on their credit accounts,” Mr Doessel says. Australia’s credit reporting system is fairly unique in the fact that it is currently a negative reporting system. There is no way of balancing out a bad credit report with good repayments, and any negative listing remains on a person’s credit file for 5-7 years. Once an individual is 18 and is credit-active, they have a credit file issued in their name. It is even at this early stage where some new migrants come unstuck. Sometimes in those early stages the credit file can be issued under the wrong name. “Creditors have been known to mix up names or put someone’s last name as their first name. This could potentially open up a can of worms in terms of correct listing,” he says. Creditors can also place a default on the wrong person’s file. “We have a case at the moment where a lady had a default listing placed on her file which was for a male with a similar name. It wasn’t until our client applied for a loan that she found out about the default placed on her file from someone else’s account,” he says. It is suggested that new Australians make a point of ensuring continuity with their name on any credit they take out and requesting changes to any bills or documentation which come back incorrect. They should also check their credit file to make sure everything reads correctly. “It’s actually not just new Aussies who are kept in the dark. Many Australian-born Aussies are unaware they should be checking their credit file regularly and that they can obtain a credit report for free every 12 months,” Doessel says. Many people are unaware that once an account goes past 60 days in arrears, it will be listed as a default on the person’s credit file for the next five years. A common reason people can have defaults go unnoticed is after they move house or when they go overseas for extended holidays. They fail to divert their mail, and do not receive the written notification of either the late account, or the creditor’s intention to list the late payment as a default on the person’s credit file. Identity theft can also occur, with current statistics showing 1 in 6 Australians are currently affected. “Identity theft is a major problem in this country, and many new migrants are not aware of the frequency of attacks, or the need to safeguard their personal information. They end up with their identities stolen, and credit taken out in their name,” Mr Doessel says. Sometimes migrants can become victims of identity theft before they even get on the plane. In December 2010, Immigration Minister Chris Bowen warned new migrants of online scams that often leave them without a visa and at a loss for the money they have spent. “It is vital that people are aware of fraudsters’ tricks before handing over money for immigration assistance which is never provided,” Bowen said. Australian tax payers should be aware of scams designed to extract tax file numbers for the purpose of identity fraud. This could leave their bank accounts empty and credit files ineffective for up to five years, says an Australian credit information expert. Director of MyCRA Credit Repairs, Graham Doessel says if people fall victim to this particular type of identity theft, they are at a high risk of having their credit file misused. “A person’s tax file number is like the key to their credit file. If fraudsters are able to obtain this number, they have a crucial piece of information for building a duplicate identity in the victim’s name,” Mr Doessel says. Mr Doessel says social networking sites like Facebook have made it easier for fraudsters to obtain the extra personal information a criminal could need for identity fraud. “People post a whole host of information about themselves on sites like Facebook, MySpace and Twitter, but people need to think – what would a criminal do with this information? If fraudsters already have a person’s tax file number, a simple check on Facebook for a date of birth can give them the tools they need to request replacement copies of personal documents, and use those documents to take out credit – even mortgage homes in the victim’s name,” he says. This comes as the Sunday Telegraph reported that the practice of stealing tax file numbers has almost doubled in the past year, from 12,669 to 31,200 from the previous year. The number of complaints made to the Commonwealth Ombudsman about the Australia Tax Office also increased almost 40 per cent, largely because of the stolen TFNs. It reported that techniques to steal someone’s TFN include bogus approaches by phone calls, emails, letters, websites and text messages. People who share the same name and birthday are also in the “at risk” category. The Government issued an alert on its StaySmartOnline following the 2010 financial year about bogus emails from the ATO specific to e-tax. “New fraudulent emails are circulating which pretend to be from the Australian Tax Office. Using social engineering tricks the criminals behind these emails try to trick you into providing personal information as a pretext to receiving a tax refund. This personal information can be used by the criminals to steal your identity,” the alert says. The Telegraph reported an ATO spokeswoman as saying stolen TFNs and identity theft was a big problem – the effects could last for years and were a nightmare to clean up. “When an identity is stolen it can take a long time to put everything right,” she said. “A person can face financial problems if someone commits fraud or other crimes using your identity. Other impacts may be experienced in getting a job, a bank loan or other credit, renting a house or a car, or applying for government services or benefits. “She said the ATO had established a “client identity support centre” to assist people whose identities were stolen. Mr Doessel says identity fraud can often go undetected until the victim applies for credit and is refused. “The fraudster could abuse someone’s good name all over town and it is not until the victim applies for credit and is refused, that they learn about the identity theft and subsequent fraud,” Mr Doessel says. Any kind of credit account (from mortgages and credit cards through to mobile phone accounts) which remains unpaid past 60 days can be listed as a default by creditors on the victim’s credit rating, and those defaults remain there for 5 years. Mr Doessel says the consequence of people having a black mark on their credit rating is generally an inability to obtain credit. “Most of the major banks refuse credit to people who have defaults, or even too many credit enquiries, so it is really essential to keep a clean credit record,” he says. By law in Australia, if a listing contains inconsistencies the credit file holder has the right to negotiate their amendment or removal. “To clear their good name, the identity theft victim needs to prove to creditors they did not initiate the credit – which can be difficult. Not only are victims generally required to produce police reports, but large amounts of documentary evidence to substantiate to creditors the case of identity theft,” Mr Doessel says. Unsecured loans are highly sought after in this recessionary economic climate. Secured loans on the other hand require appropriate documentation to secure the loan against a property such as land, house or car. In other words, you need some collateral for secured loans. There are many NRIs or Indians living overseas who don’t have land, house or car to secure a loan. They may not have a clean credit record too. Such people can get unsecured loans which are often provided with no credit check. If you are looking to obtain an unsecured loan, what should you do? Many banks, non-banking financial institutions and pawn brokers provide plenty of information on their websites. Borrowers should read the fine print on the websites and familiarize themselves with all the terms. They should visit the websites of at least three lenders and compare rates and terms. Once they decide on the borrower, all that they have to do is fill up an online form with personal details such as name and address, income source if employed, phone number, email, postal address and bank account details. Once the application is submitted, lenders get back to the borrowers in a very short time. In most cases the turnaround time is less than 24 hours. 1. You must be above the age of 18. 2. You must be the citizen of the country. In some countries, even green card holders or permanent residents can get cash loans. 3. You must meet the minimum income requirements; high income earners find it easier to get a loan. 4. You must have a bank account. If you have a sizable overdraft on your credit card, and are struggling to pay your credit card debt, then unsecured loan can be a good option, if you get the loan on good interest rate. –Simon Ronster is a financial planner based in Sydney. If you have any questions about obtaining loan, please send a message. What are the rules for buying property in India? NRIs have continued to buy and sell houses in India despite the global economic crisis in the recent years. In fact, NRIs have used the gloomy global scenario to their advantage to secure bargain properties in India. As India Inc continues its success story, and while the country maintains its economic growth prospects, more Indians living abroad are exploring opportunities to invest in India. Before investing in the real estate in India, it is important to know the rules and regulations governing property investment in India by NRIs or people of Indian origin. India’s Foreign Exchange Management Act, 2000 (FEMA, previously known as FERA – Foreign Exchange Regulations Act) provides rules for investment in properties by non-residents. This includes non-resident Indians, persons of Indian origin and other foreign nationals to hold, acquire or sell immovable property in India. The rules apply to divestment as well as investement. Keeping in mind their Indian origin, non-resident Indians (NRIs) and persons of Indian origin (PIOs) have special privileges under FEMA. It is important to understand the difference between an NRI and a PIO. An NRI or non-resident Indian is a citizen of India who is currently living outside India. A Person of Indian origin (PIO) on the other hand, is someone who is not necessarily a citizen of India but someone who has held an Indian passport at some stage in the past. A PIO is also someone who was (or whose parents or grandparents were) a citizen of India by virtue of the Constitution of India or the Citizenship Act, 1955. This provision does not apply to the citizens of Pakistan, Bangladesh Sri Lanka, Afghanistan, China or Iran. What type of property can I buy in India? The law gives general permission to NRIs and PIOs to buy immovable property in India. This permission is available only for buying residential or commercial property. It does not apply to buying or selling of agricultural land, plantation property or a farmhouse in India. Such properties can be bought or sold with a specific approval of the Reserve Bank of India (RBI). A foreign national resident in India who is a citizen of Pakistan, Bangladesh, Sri Lanka, Afghanistan, China, Iran, Nepal or Bhutan would require RBI’s approval before investing. Can I take the proceeds out of India? Yes, you can, provided you use the right mode of remittance. An NRI or PIO can remit the proceeds using normal banking channels, or through funds held in a non-resident external account (NRE account)/foreign currency non-resident (B) account (FCNR(B) account)/non-resident ordinary rupee account (NRO account) maintained in India. You cannot make a payment using traveller’s cheques or foreign currency notes. Also, you cannot make payment outside India. If the original investment amount has been received from inward remittance or debit to an NRE/FCNR(B)/NRO account for buying a house or for loan repayment, then the principal amount can be repatriated outside India. If an NRI or PIO buys properties using foreign exchange, then he can repatriate sales proceeds of only two such properties when he sells them. The NRI will need to credit the additional capital gains to the NRO account and then repatriate up to US$1 million in any one financial year, after any due taxes have been paid. Citizens of Pakistan, Bangladesh, Sri Lanka, China, Afghanistan and Iran have to seek specific approval from the RBI for repatriation of sale proceeds of immovable property. Who can I sell the property to? An NRI or PIO can sell property in India to a person resident in India or to an NRI or PIO. Other types of sellers need an RBI approval. A PIO or NRI can sell agricultural land, plantation property or farmhouse to a citizen of India without RBI approval. However, foreign nationals of non-Indian origin living outside India need RBI approval to sell agricultural property in the country. With India’s booming property market, and improving job prospects, many NRIs are keen to buy a house or commercial property in India, and become part of India’s success story. As per RBI rules, NRIs or persons of Indian origin (PIO) are permitted to buy and sell properties in India. However, it is important to understand what is allowed and what isn’t. To understand who is an NRI for the purposes of investment, we must see who is a person resident in India. The remittance of money to and from India is governed by the Foreign Exchange Management Act (FEMA), which defines person resident in India as a person residing in India for more than 182 days during the course of the previous financial year. According to this definition, it does not include a person who has gone out of India for job, business or vocation, or for any other purpose for an uncertain period. Not just that. A person who has come to stay in India other than on employment, business or vocation, or for any other purpose for an uncertain period is a resident of India. As such, any person who does not meet this definition is an NRI. Basically, an NRI as someone who is not resident in India. I am an NRI, can I buy property in India? Yes, if you meet the NRI definition just discussed. You can not only buy but also sell property in India, as long as the transaction is carried out in compliance with the FEMA. These provisions are simple to follow. Buy the house or property with a registered conveyance deed. You can also buy it on a power of attorney, when an agreement to sell and a power of attorney are executed by the seller in favour of the buyer. Do I need to get RBI permission? No. You don’t have to seek permission from India’s federal bank to buy residential or commercial property in India. Whether resident in India or abroad, foreign citizens of Indian origin have RBI’s blanket permission to buy property in India. This permission is subject to certain conditions. The property must be for their bona fide residential purposes of the buyer. Also, the buyer must pay either out of inward remittances in foreign exchange through normal banking channels or out of funds in a NRE or FCNR account maintained with a bank in India. There is one more condition – declaration. The buyer has to file a declaration with the RBI’s head office in Mumbai within 90 days from the date of purchase of the property or final payment of amount. Such declaration should include a certified copy of the document evidencing the transaction and bank certificate regarding the amount paid. India’s federal bank (RBI) has made this also a breeze. NRIs can sell their property in India subject to certain conditions. If the property is bought by another foreign citizen of Indian origin, the purchase consideration should be either remitted to India or paid out of the balance in a NRE or FCNR account. Can I remit the sale proceeds outside India? the foreign currency equivalent of the amount paid from funds held in a NRE account. In relation to residential properties, the RBI considers applications for repatriation of sale proceeds up to the consideration amount remitted in foreign exchange for the acquisition of two properties. If the sales proceeds exceed the amount brought into the country to buy the house, then the excess of sale proceeds are to be credited to an ordinary non-resident rupee account of the owner of the property. But wait. There’s one more provision to consider. You can repatriate funds if the sale takes place after three years from the date of final purchase deed or from the date of payment of final instalment, whichever is later. What about house as a gift? NRIs, PIOs or foreign citizens of Indian origin can receive a house as a gift. They can also gift a house in India. But only two houses at the most. The gift can be received from or given to a relative who may be an Indian citizen or a person of Indian origin whether living in India or not. Of course, they have to follow the tax laws of the country. Can I get a loan to buy a house in India? Of course you can. Again, the apex bank (RBI) has allowed a selected housing finance banks to provide housing loans to non resident Indians. The loan is avialble for buying a house for self-use. As per RBI rules, the nature and amount of the loan will be similar to those for residents. The maximum repayment period allowed in 15 years.